Zimbabwe will soon meet its Family Planning 2020 (FP2020) target despite southern parts of the country still recording low Contraceptive Prevalence Rate (CPR) compared to Harare and Bulawayo. Addressing the media yesterday ahead of the World Population Day Commemorations, Zimbabwe National Family Planning Council (ZNFPC) Executive Director Dr Munyaradzi Murwira said Zimbabwe is almost reaching the UNFPA 2020 Family Planning (FP) target though there are differentials across the country with the southern provinces recording the lowest uptake of family planning. “The differentials across the provinces in terms of the uptake of family planning services, Bulawayo and Harare have the highest CPR of 70-71% and you note that the provinces in the southern parts of the country that is Manicaland, Masvingo, Matebeleland South have the lowest use of contraception in the country,” explained Murwira. He added that the southern provinces have a low uptake of family planning because of lower primary healthcare services, high movement of male population to Botswana and South Africa and social, cultural and religious issues. However, an improvement has been noted in the use of implants from 3% in 2010 and to 10% by 2015. 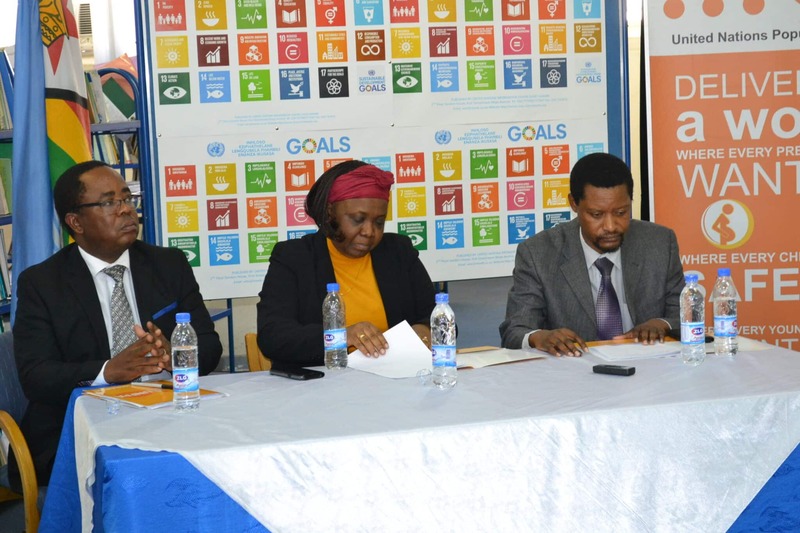 Speaking at the same briefing, (UNFPA) Zimbabwe Country Representative, Esther Muia said family planning is a key pillar to ensure safe motherhood. She added that pregnancy and childbirth related complications are the number one killers of girls aged 15-19. “It is a key pillar to ensure safe motherhood, reduces the risk of death and disability associated with from pregnancy and childbirth too early or too late in a woman’s life as is the situation in Zimbabwe. We need to invest more in our young people to have a brighter Zimbabwe,” she said. Muia urged men to actively participate in family planning and plan together with their spouses.